This year Nite Ize celebrates 25 years of business in Boulder, Colorado and the second year of their affiliate program. The idea for the accessory and tool company, born after dropping a new flashlight while fishing, has built their success on creating functional gadgets that make everyday tasks safe and easy. 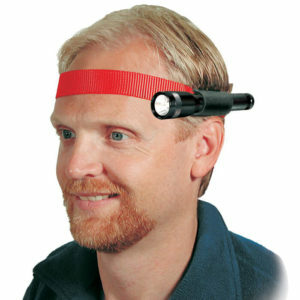 The Headband, designed to aim a flashlight while still being able to use your hands, is where Nite Ize began. It’s a cost-effective solution that is capable of holding a variety of flashlights and adjusts easily to fit any size. Check out the Headband for your next outdoor adventure or household task. Fits most L123, AA and AAA flashlights. These days, the Nite Ize vision is to create solution based products from quality materials. These products range from being utilitarian to playful and include accessories for your bike, pets and mobile phones. Nite Ize manages their affiliate program in Commission Junction and AvantLink through Versa Marketing Inc. Nite Ize offers affiliate partners 12% commission, a 90 day referral and exclusive coupon codes. The Datafeed can be accessed in Commission Junction or AvantLink. All affiliates are welcome to incorporate Nite Ize to their program.